This product is no longer available and has been replaced by: CS475A. Some accessories, replacement parts, or services may still be available. The CS475 is a pulse-radar water-level sensor. Positioned directly over the water surface it determines water level by measuring the elapsed time between the emission of short microwave pulses and the return. Typical applications include water level measurements of rivers, lakes and reservoirs. 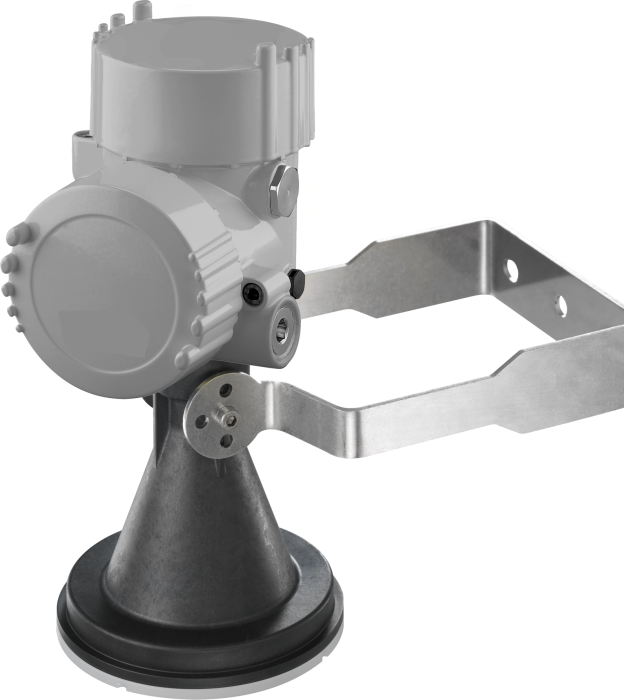 Ideal for applications where submersed sensors are not appropriate because of the risk of damage due to corrosion, contamination or flood-related debris. A solid state design with no moving parts means that maintenance costs and time are kept to a minimum. This sensor is supplied with a 10m cable as standard, other length available to order. The CS475 emits short microwave pulses and then measures the elapsed time between the emission and return of the pulses. The elapsed time measurement is used to calculate the distance between the sensor and the target (e.g., water, grain, slurry). The distance value can then be used to determine depth. Can Short Cut be used to write a program for the CS475, CS476, or CS477? Yes. In the Water | Level & Flow folder, there is the option to select CS475/CS476/CS477 Radar Water Level Sensor. Click to move the selection to the Selected device window, and enter the SDI-12 address.